A truly inspirational collection of 55 stories and photographs shared by Good Dog Rescue adopters whose lives have been transformed by the love of their rescue dog. 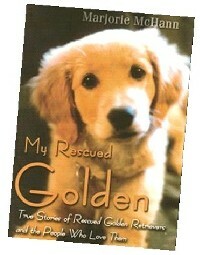 A heartwarming collection of 50 golden retriever rescue stories by their adopters, conveying every aspect of the devotion, fun and humor that exist within this special relationship. 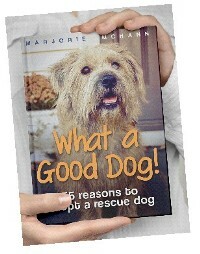 All royalties go to rescue.